Craft Stories…Endeavoring to Make Your Wedding an Occasion to Remember for Decades to Come! Each couple desires to have a wedding which is special, momentous and memorable; a wonderful time to celebrate love and share with family and friends. This is a moment which does not just encompass the happiness they are experiencing, but also narrates their story in a manner that visitors will remember at all times. However, it is not just enough to have a great day; you need to capture each special moment on either video or camera. These mementos should then be stored safely for future reference. To this end, Craft Stories strives to assist the wedding couple to tell their unique story using the most beautiful and unique wedding photo albums. They provide wonderful wedding invitations as well, to leave a lasting impression with your visitors! At Craft Stories, they offer a huge variety of items to cater for every taste and need, so that you can have unique products to facilitate the wedding of your dreams. 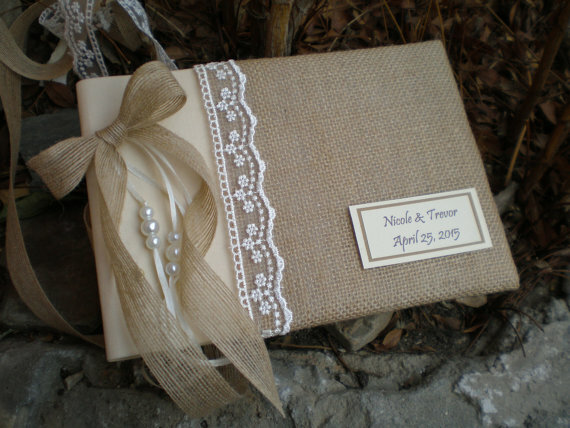 Rustic wedding visitors’ book which is personalized. A photo album or wooden guestbook with hearts. An elegant lace visitor’s book. At Craft Stories, they offer a huge variety of photo albums to cater for every taste and need, so that you can store the special moments captured and store them well, for future reference. Their huge range of photo albums, which are not only handy but absolutely beautiful as well, offer you a chance to treasure the wonderful memories of your wedding, by keeping your pictures safe. 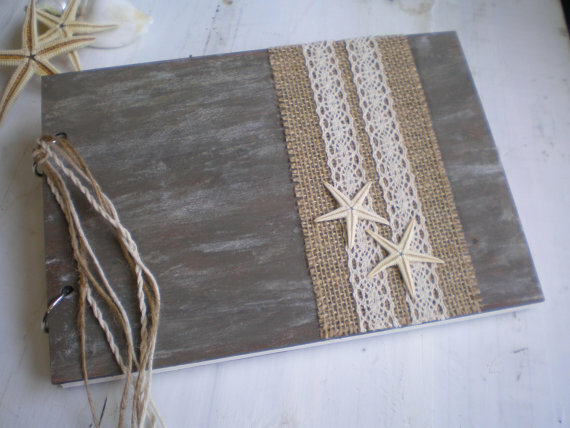 A photo album or guestbook made from wood, with starfish. This is a tailored guest book and can be used as a most ideal gift during the bridal shower. This item is made by hand and the materials used to create it are paper, wood, burlap and starfish. This lovely wedding album has a covering of linen material. It is adorned with attractive lace and a bouquet which is made by hand. It is ideal for a wedding full of romance! This product is handmade using paper, lace, binding rings, gauze, linen material and satin ribbon. This lovely item can be used as a photo album if you choose the option with bulky sheets, that is, 25 sheets or 50 pages of blank and plain ivory papers, of 250 grams. 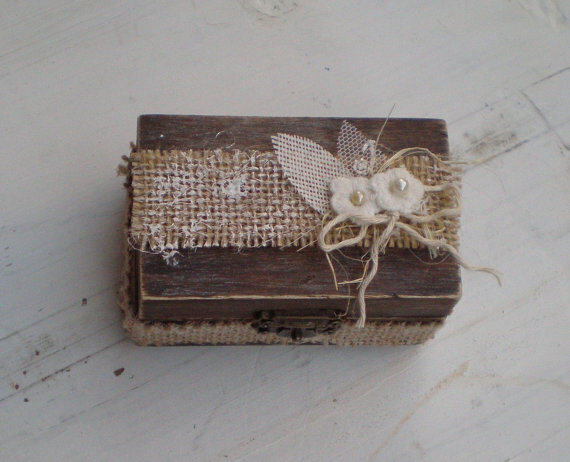 This is an attractive product made by hand using paper, lace, wood and burlap. This is a small and fashionable photo album which is hand- made. It is decorated with bookbinding material. It has an integration of colors which is extremely pleasant, complementing the pearls and satin ribbon, of high quality. Invite Your Guests in a Fashionable Manner to your Wedding! This is a traditional wedding invitation which is classic and sophisticated. It has a stylish script font. It is presented in black ink, whose belly band is mint. It can however be specialized to whatever color you desire. This wedding invitation is a simple one that will inform your visitors of your impending wedding with elegant simplicity. Script can be available in various colors as well as font options. 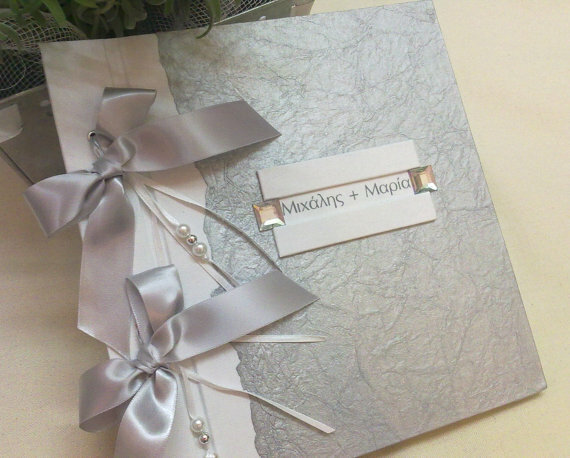 The prices for the lovely wedding albums and invitations they have are affordable for all. Their main aim is to ensure that each of the moment you capture on camera, is stored in a safe manner to make sure you can refer comfortably in future. They also strive to provide unique invitations which will have an impact! Visit their shop today and they guarantee that you will have a method of storing your precious wedding photos in a secure manner for years to come and impress your visitors with lovely wedding invitations!